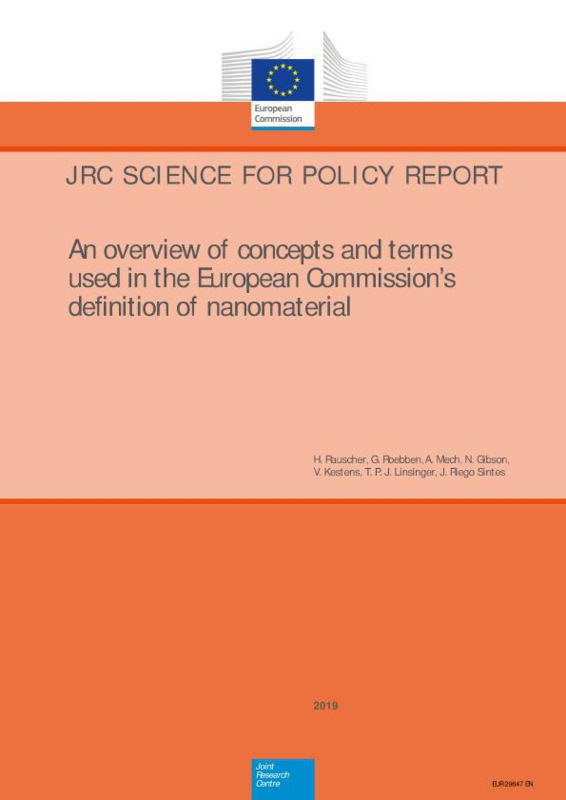 This report supports the implementation of the European Commission’s Recommendation on a definition of nanomaterial (2011/696/EU). It addresses its key concepts and terms and discusses them in a regulatory context. Corresponding to the broad scope of the definition the considerations in this report can be applied across all relevant legislative areas; they are not specific to any particular piece of legislation. The report provides recommendations for a harmonised and coherent implementation of the nanomaterial definition in any specific regulatory context at European Union and national level.